There are few things in life I love more than the chocolate/peanut butter combo. Nothing can top it. It doesn’t get old. It’s sweet and savory and lends itself to all sorts of heavenly desserts. I made some peanut butter cookies with a chocolate frosting swirl last Summer and it was sort of a life changing recipe. 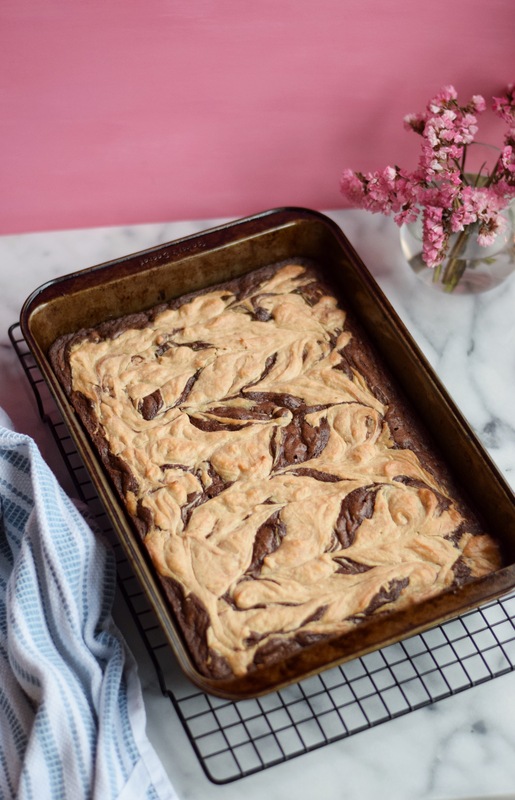 This peanut butter cheesecake swirl brownie recipe is this Summer’s triumph that are sure to be repeated for decades to come. 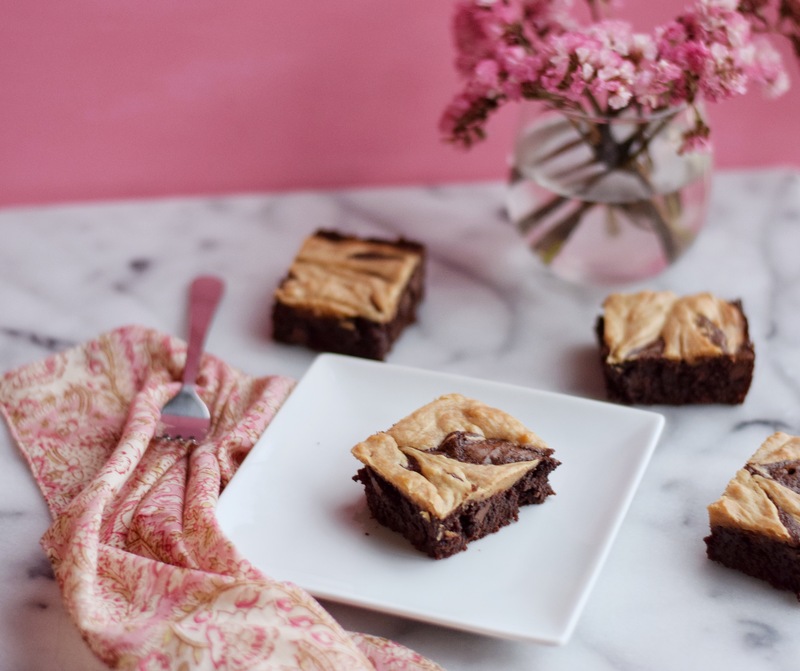 As a starting point, I grew up with boxed brownies. My mom used to make trays of delicious homemade chocolate squares of goodness until one day when us kids, in our childish stupidity, told her we liked the brownies from the box with their sugar filled flavor and gooey frosting packet that got drizzled over the top. I look back now and understand my error. Homemade brownies are a true treasure. No matter how many times I have made the Ghiradelli boxed mix and thought, wow, these are truly the best, they will never compare to the rich cocoa powder flavor with dense fudgy texture that homemade brownies bring to the table. You can see the difference right in the batter. Homemade (at least in this case) is THICK. Like, barely spreadable, hangs on the spatula thick. 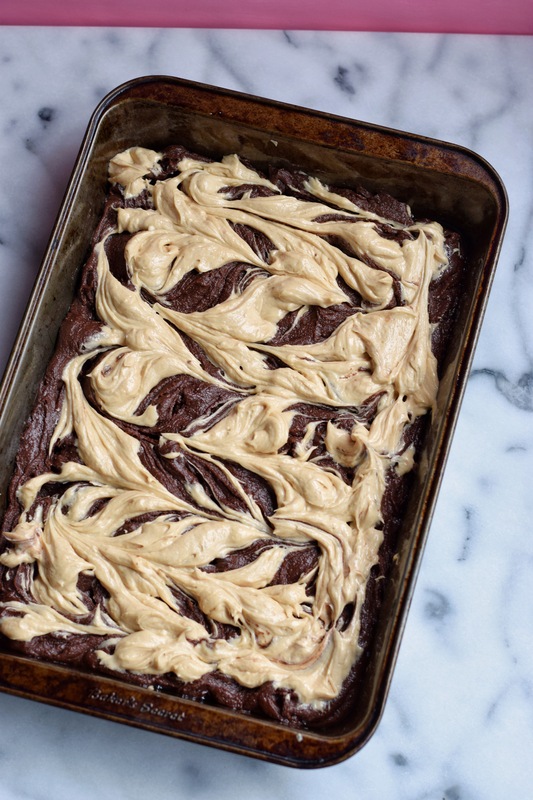 But let’s be honest, the internet doesn’t need another homemade brownie recipe. 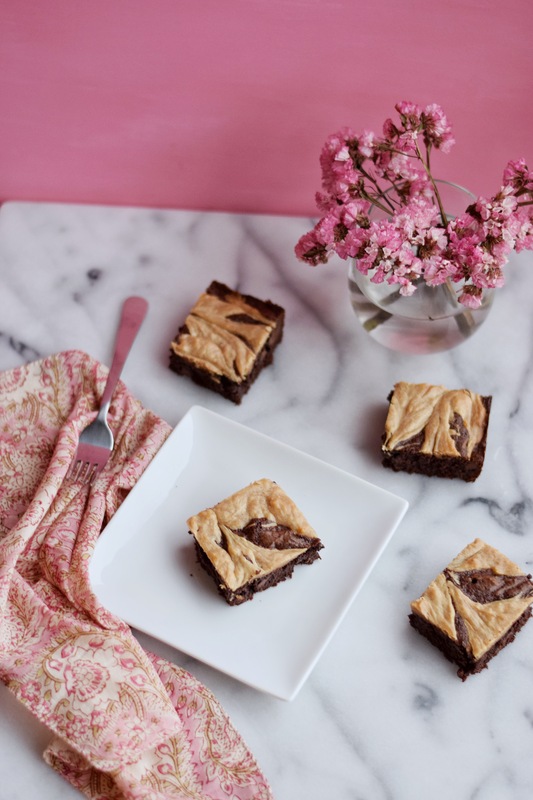 What it does need is another peanut butter chocolate combination creation that also happens to be a brownie and cheesecake recipe all in one. Yes, we are going there. 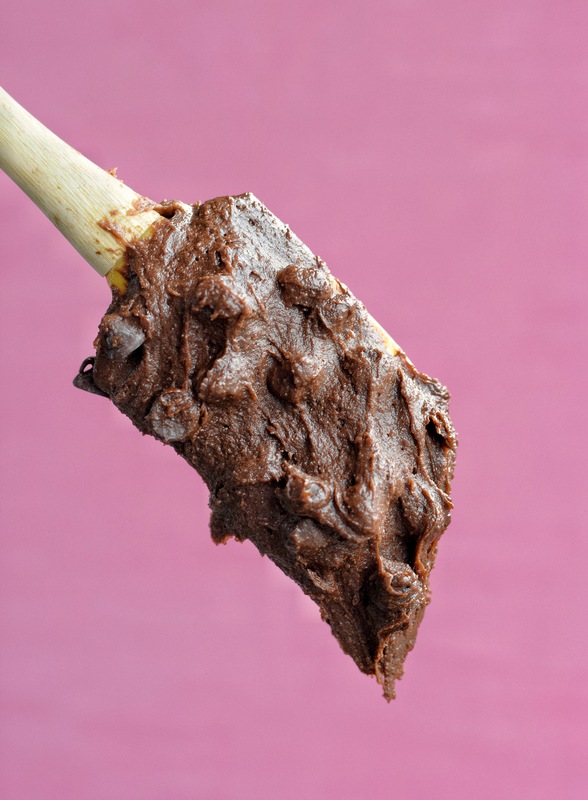 The thick brownie batter filled with semi-sweet chocolate chips is spread into the pan. Then, dollops of peanut butter cheesecake batter are dropped over the top and swirled in to the chocolate with a knife. Line the dollops up in lines and then strike your knife through them, rotating directions at the edges of the pan. You want to make sure to mix it in but not fully cover the chocolate so that you get a pretty swirled effect. These brownies are so fudgey and dense like a brownie should be (cake texture lovers, keep that texture for your cakes! 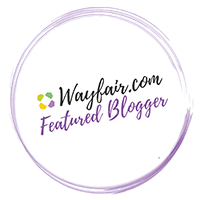 !… in my humble opinion…). I use Hershey’s cocoa powder, and though I recognize there are fancier versions out there with better chocolate, I find that it does the job just fine when you put an entire 3/4 cup in the batter. Going through the photos for this post almost drove me to make another batch right on the spot. Thankfully it was too late at night and my fatigue beat out my sweet tooth. Try out these brownies and let me know if (when) they change your life! 1. Preheat the oven to 350 degrees F. Grease and flour a 9×13-inch pan and set aside. 2. Mix together the melted butter, sugar, and vanilla in a large bowl. Add in the eggs and beat until fully combined. 3. In a separate bowl, mix together the flour, cocoa powder, baking powder, and salt until fully combined. Slowly add the dry ingredients to the wet ingredients and mix until you have a thick batter. Add in the chocolate chips and mix until they are distributed evenly. Spread the batter in to the prepared pan. 4. 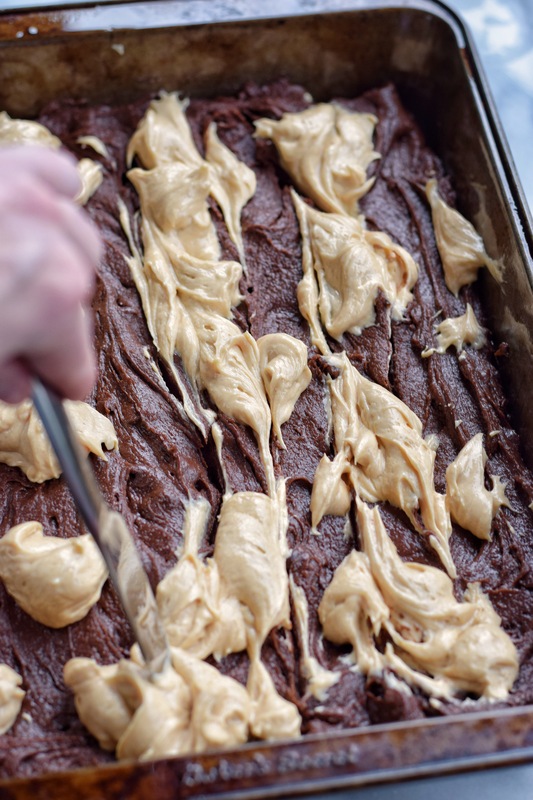 To make the peanut butter cheesecake swirl, mix together the softened cream cheese, peanut butter, and sugar until smooth. Add in the egg and a splash of milk and beat until smooth. 5. 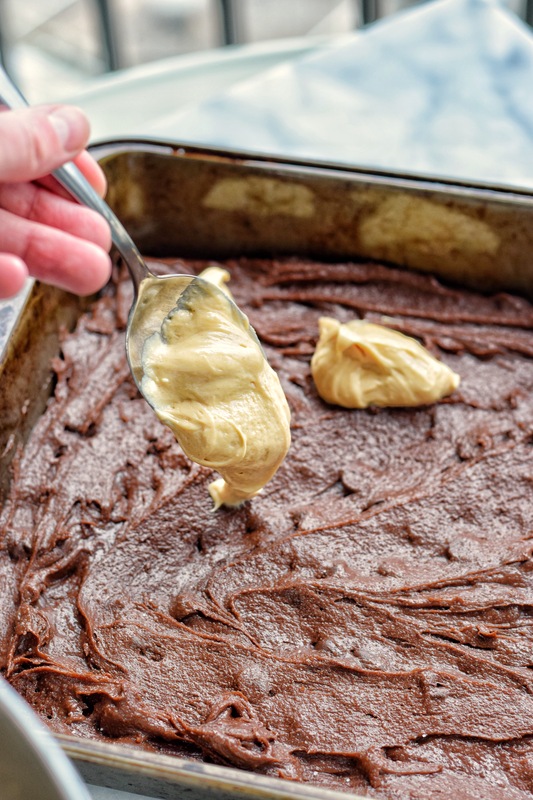 Spoon dollops of peanut butter cheesecake batter on top of the brownies in even lines. You may have some extra batter. Put a knife into one of the dollops at the edge of the pan and drag it through the other dollops, zig zagging through the pan from one side to the other to swirl the mixtures together. 6. Bake brownies for 35 minutes, or until a toothpick comes out of the batter clean. Chocolate, peanut butter, & cheesecake are a few of my favorite things! Can’t wait to try this recipe! Yay I’m so glad!! Can’t go wrong with that combination, right?? Definitely can’t! All it needs is a cup of coffee on the side- maybe a hot mocha! Yum! What a perfect combo!